Harvey Smith (born 1966) is an American video game designer and writer, currently working at Arkane Studios. Smith has lectured in various places around the world on topics such as level design, emergent gameplay, leadership, game unit differentiation, future trends and interactive narrative. At the Game Developers Conference in 2006, Smith won the Game Designer's Challenge: Nobel Peace Prize, for his design featuring a mobile video game that facilitates political social action. Smith was born and raised on the Texas Gulf Coast. He grew up playing games like Pong as well as Dungeons & Dragons. He read books by Ursula K. Le Guin, William Faulkner, Vladimir Nabokov and Roger Zelazny, among others. After six years in the U.S. Air Force, Smith moved to Austin at the behest of a friend to try his hand at video game design. Early in his career, Smith worked in quality assurance (QA) at the Austin-based Origin Systems, where he became the QA lead for System Shock. In 1995, Smith became an associate producer for Ultima VIII, working with co-founder of Origin, Richard Garriott. After leaving Origin in 1996, Harvey Smith went to work at Multitude where they released FireTeam. After Multitude, Smith's game development career continued in Austin, Texas working with Warren Spector at Ion Storm as lead designer on Deus Ex as well as its sequel, Deus Ex: Invisible War. Smith left Ion Storm to work at Midway Games as lead designer on BlackSite: Area 51. On November 29, 2007, Harvey Smith, as designer of BlackSite: Area 51, came out publicly to announce how unrealistic the game's development schedule was and through mutual agreement left Midway a day later. He claimed the schedule caused the low reviews due to the fact they were not able to test the game properly. 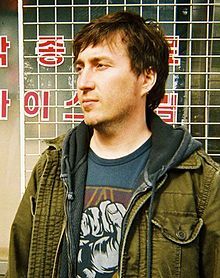 In 2008, Smith became partner and co-creative director of Arkane Studios in Austin alongside the company's president, Raphael Colantonio. They went on to release the stealth-action game, Dishonored in 2012, which won many Game of the Year and Best Action/Adventure accolades including the 2013 BAFTA award for Best Game and 2012 SPIKE VGA for Best Action/Adventure Game. Smith's novel, Big Jack is Dead, was released on April 2, 2013 by CreateSpace Independent Publishing Platform. That same year it was on Kirkus Review's list of "Best Indie General Fiction". ^ "GDC: The Game Design Challenge: The Nobel Peace Prize". Gamasutra. ^ "The mirror men of Arkane". Polygon. ^ "Confirmed: Harvey Smith Leaves Midway". 1up.com. Nov 30, 2007. Archived from the original on May 22, 2011. ^ "BAFTA Awards Gaming 2013". BAFTA. ^ "Around the Web: Award Season". The Bethesda Blog. ^ "Best in Indie Books 2013". Kirkus Review. This page was last edited on 15 January 2019, at 19:35 (UTC).